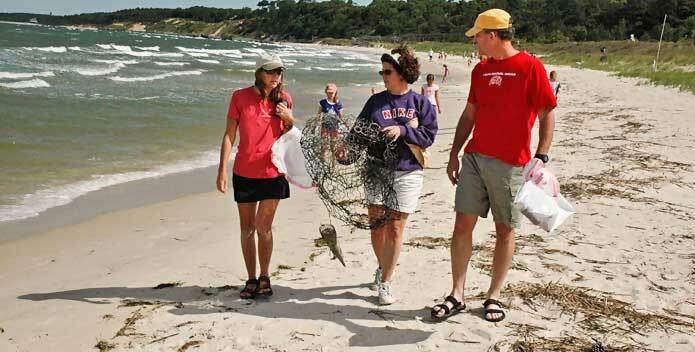 A family participates in Clean the Bay Day at Kiptopeke State Park. Can't make it on June 1st but want to help? Check out partners who are hosting their events earlier. This short, three-hour annual event has a massive cumulative impact. Since 1989, Clean the Bay Day has engaged over 158,200 volunteers, who have removed approximately 6.64 million pounds of debris from nearly 7,750 miles of shoreline in Virginia! Watch for our new Clean the Bay Day Worksite signs. We are looking for volunteers to help our partners organize their sites and ensure a safe and successful event. Zone Captains arrive to their sites early, meet and greet volunteers, collect signatures and other pertinent documentation required by CBF, answer questions, provide guidance, and phone-in/return data collected to their location coordinator. If you're interested, select the Zone Captain option during your registration. The location coordinator will contact you with further details. The limited edition 31st Annual Clean the Bay Day Patch is available for purchase NOW. Order before we run out! Cost is $3 per patch plus a one-time shipping fee of $3. Please complete the online form before sending in your payment. Order here by May 13, 2019. All orders must be paid in full by May 15, 2019 in order to be fulfilled. Photo Contest: We are once again holding a Clean the Bay Day Photo Contest! Details to come. The top three submissions will receive a special CBF swag pack*! *Participation is free. Prize value is less than $10. CBF will not generate or receive funds from this contest. While litter is easily prevented and can be picked up by anyone on any given morning, tackling the major unseen threats to the Bay watershed, like habitat loss, polluted runoff, and nutrient pollution, require broad and focused support. Clean the Bay Day often performs as a gateway program through which children and adults alike embrace environmental stewardship of their waterways. 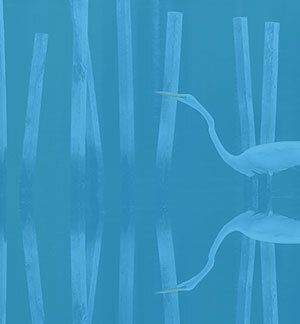 We hope you will help us in our mission to Save the Bay by learning more about the Chesapeake Clean Water Blueprint, our best and perhaps only chance to finally restore and protect the Bay and her rivers and streams. Clean the Bay Day is a model for cooperation: The program is built on lasting relationships between dozens of cities and counties, non-profits, military installations, small businesses, and large corporations. On Clean the Bay Day, we all come together with families, individuals, church groups, and elected officials from local, state and federal levels for a common cause: clean water. Clean the Bay Day is predicated on strong cooperation and important, lasting relationships among CBF and dozens of partners, including municipalities, non-profits, the U.S. military, businesses, and corporate sponsors. We are always welcoming new partners and sponsors to share the limelight with us! If you'd like to know more, please send an email to ctbd@cbf.org or call 757-622-1964. While we pull some pretty bad stuff out of our waterways each year, we always encourage our volunteers to "go beyond litter" and address the less visible factors and behaviors that threaten the health the Bay. Check out more ideas for what you can do every day to help Save the Bay. Check out more ideas for what you can do every day to help Save the Bay. We would like to thank all of the volunteers, partners, and sponsors that make this event such a stellar success each year. From more than 344 miles of stream and shoreline.